Dr. Dors was born and raised in Woodstock, Ontario before attending the University of Waterloo for both his undergraduate and Doctor of Optometry program. 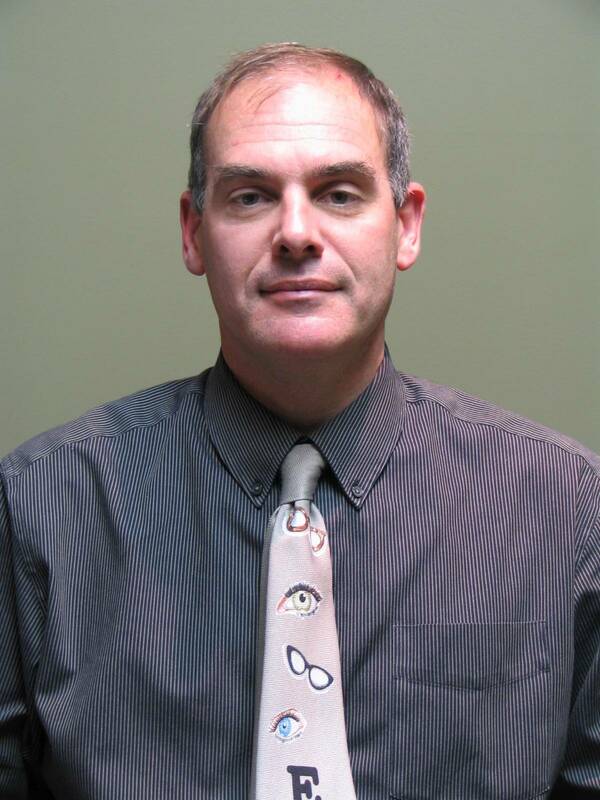 He graduated in 1989 and began full family eyecare practice in Meaford. In April 1990, the Owen Sound clinic was opened. In 2006 with the arrival of Dr Joseph Traynor and the subsequent arrival of Dr Andrea Traynor in 2007, Dr Dors and Traynor opened a second clinic in Thornbury. In addition to his optometry degree, Dr Dors is also certified in laser vision correction co-management and is a sucessful laser vision patient himself. In 1993, he completed the Therapeutic Management of Ocular Disease program from Northeastern State University School of Optometry in Oklahoma. When not seeing patients and operating a business, hockey, golf, coaching ringette and woodworking occupy much of his spare time. He is married with twin daughters Brittany and Madison. Dr Dors is a Rotary Club member since 1990, a regular blood donor and season ticket holder for the Owen Sound Junior A Hockey club. Go Attack Go!